When oil and gas production moved into deeper waters, the loads on gravity base structures (GBS) used to support platforms increased. Where seabed soil strength was also weaker – on soft clays, for example – the foundation challenge became fairly considerable. [REMOVE]Fotnote: Alm, T., Bye. A,, Sandvik, K. & Egeland, S. (1995). The Draugen Platform and Subsea Structures, Installation and Foundation Aspects. Paper presentert på OTC 7670-MS OTC Conference. Olav Olsen, Norway’s leading expert on shell structures, regarded the skirt pile as a tool for overcoming this problem. [REMOVE]Fotnote: Steen, &. (2002). Den frie tanke : Om kreativ frihet og en ledende norsk ingeniør. Lillestrøm: Byggenæringens forl. It surrounded and enclosed the weakest top layer of clay and transferred the load to deeper and more stable levels. Clay also has a tensile strength which can help to counter the burden of short-term loads such as breaking waves. 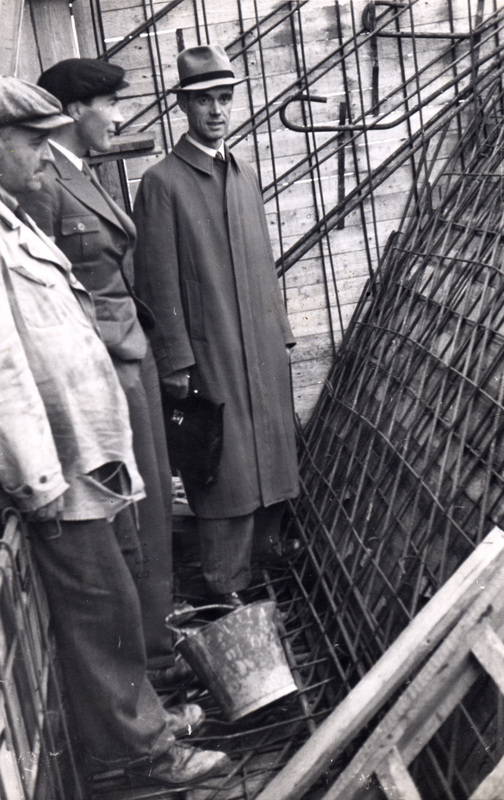 A steel skirt had been incorporated beneath the storage cells on a number of earlier Condeep concrete platforms to ensure stability. The steel skirts are suitable for sandy soils. 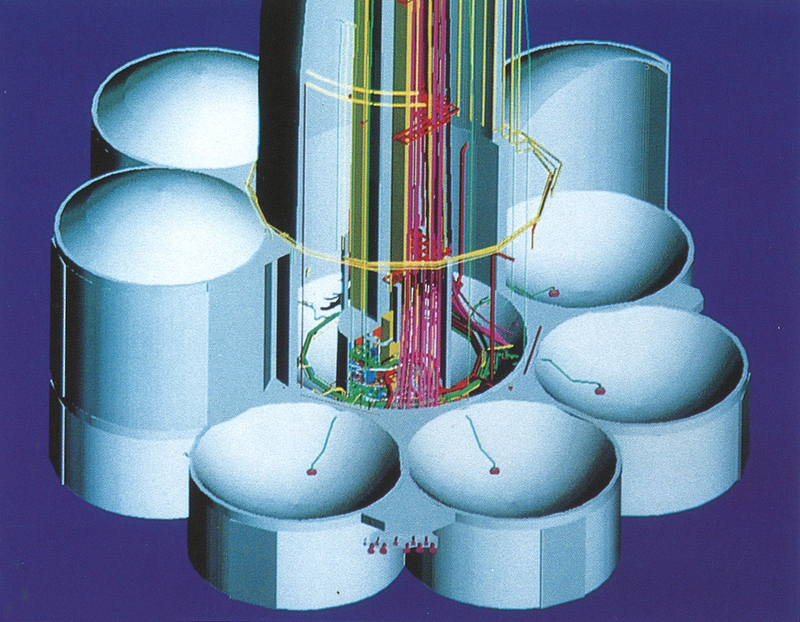 Gullfaks C was the first of these installations to feature an integrated concrete skirt, which thereby formed an extension of the cylindrical cell above and naturally had to cope with the loads placed on it. But questions were posed from certain quarters about the suitability and strength of these skirts, including a British consultant who warned Gullfaks C operator Statoil against them. Olav Olsen’s company invited this critic to a meeting where a Statoil representative was also present along with Olsen himself and his son Tor Ole Olsen. The British visitor had prepared well, bringing with him a suitcase full of modelling clay and the cut-off bottoms of plastic bottles (which had appropriately held various oil products). By pressing a bottle base into the clay, he was able to demonstrate that the skirts deformed severely. The side of the bottle bent as the pressure increased. With a doctorate on shell structures and the insight and experience conferred by many years of development work, Olsen immediately saw that the plastic bottles lacked an important component – stiff wall-bottom connection. He demonstrated this by taking one of the cut-off bottles, filling clay into the bottle bottom to stiffen the wall and then pressing it down on more clay. The skirts (bottle sides) now retained their shape. Olsen had thereby used the critic’s own toolkit to demonstrate the applicability of the skirts, and the British consultant’s warnings were silenced. The Gullfaks C, Draugen and Troll A platforms all incorporate long skirt piles, and all have operated on the Norwegian continental shelf for more than 20 years. The skirts on Draugen are 16 metres high and penetrate nine metres into the seabed. 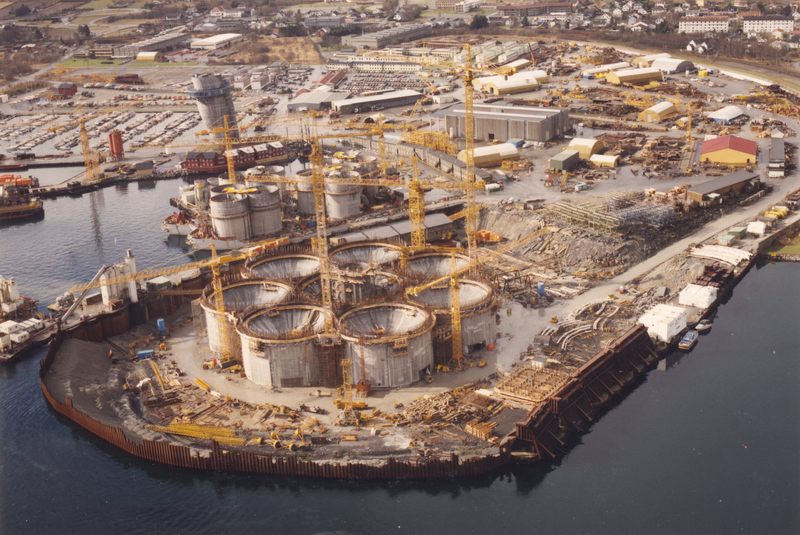 Their construction in the dry dock at Hinna in Stavanger is clearly illustrated in figure 2.